Ravishing red is the focal point of the Red Glitter Swirl Ribbon in a 9-metre length roll. This ribbon features sheer red face with textured red spherical motif and glittered red accents. 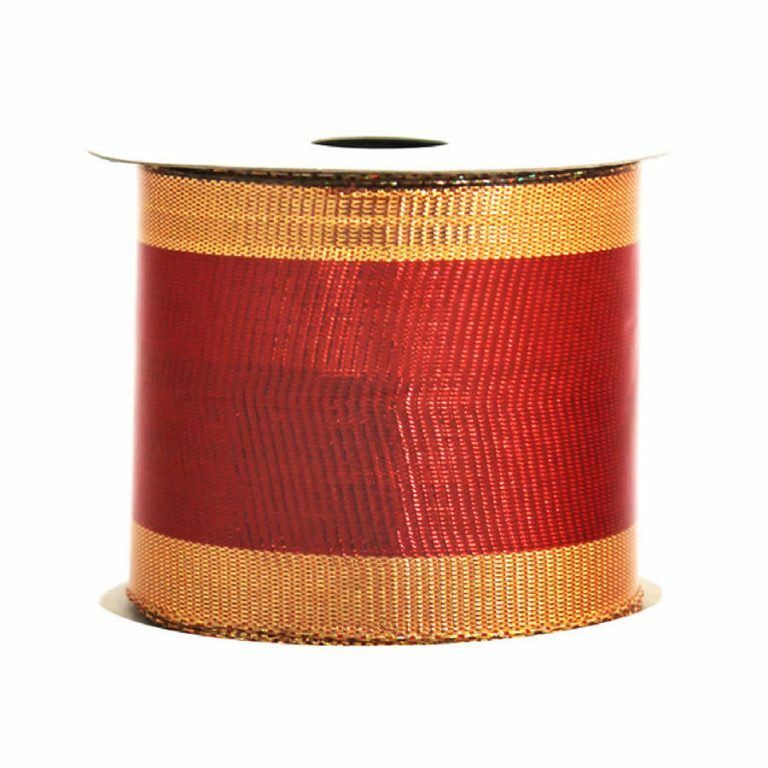 The red metallic trim hides the wire edging, which is what makes this ribbon so easy to use. 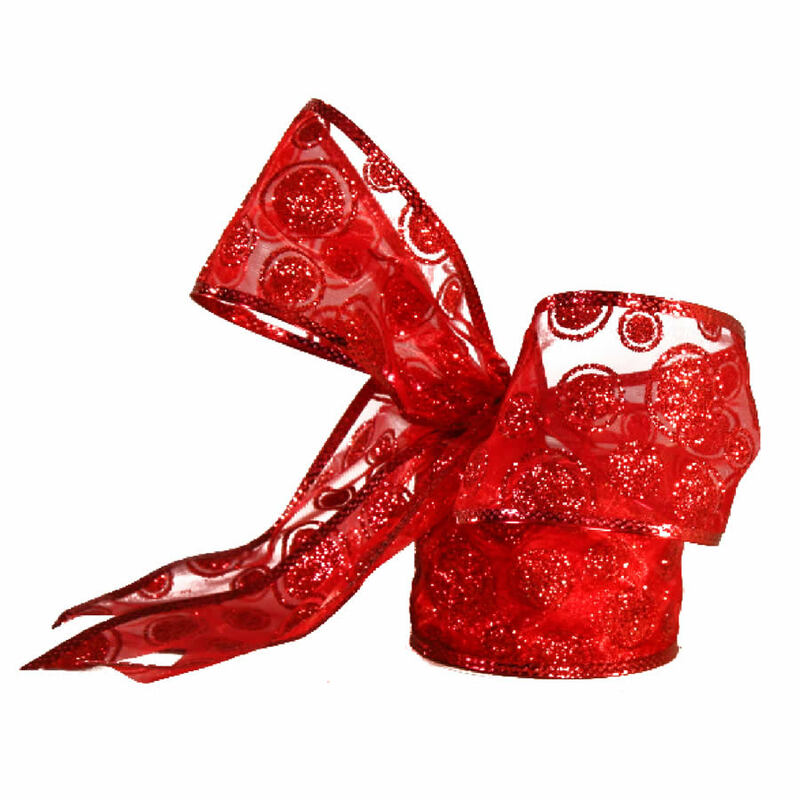 The solid red colour theme makes this ribbon dramatic, and a very fitting accent for the holiday season. This would jump out at you when you use it on a dark green tree. It would be a pop of colour on a plain green wreath. 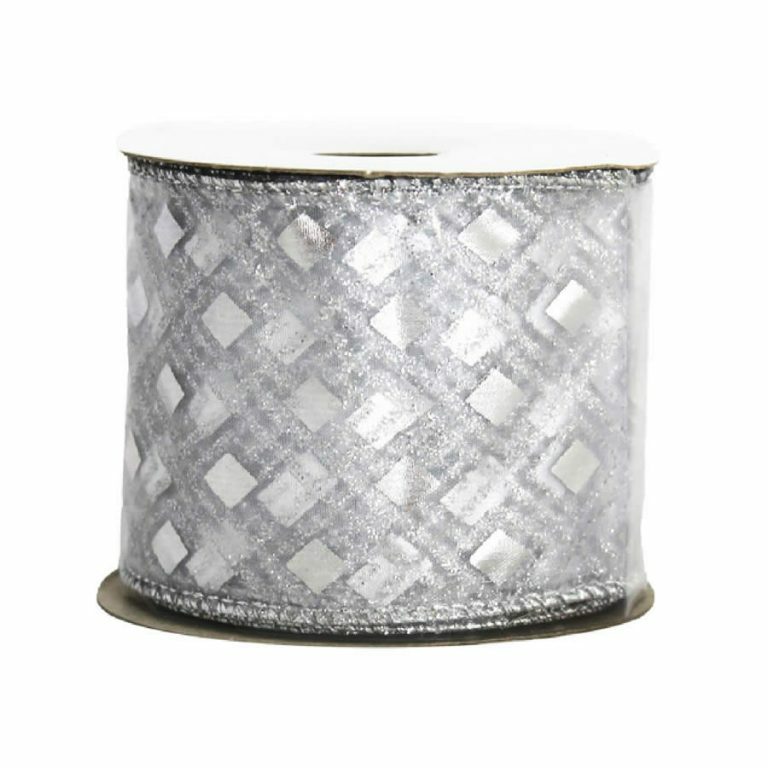 This ribbon would also be stunning to drape or tie on the edges of your mantle, perhaps paired with a strand of red or metallic tinsel garland, offered and sold separately. Enjoy this ribbon and reuse it time and time again. 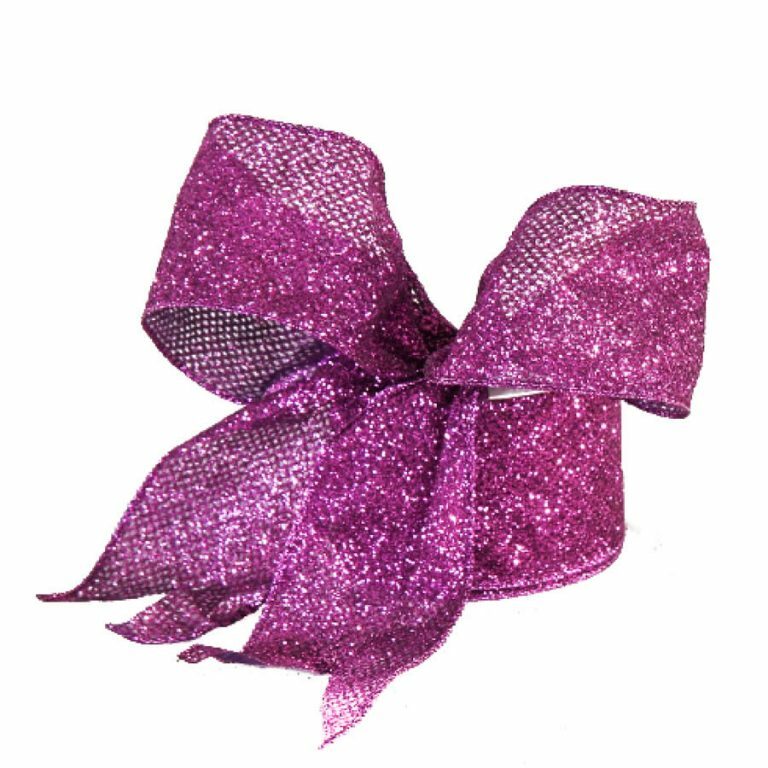 Your bows can be stored and still look full and pretty, without the sag or droop of bows without wire edged ribbon. 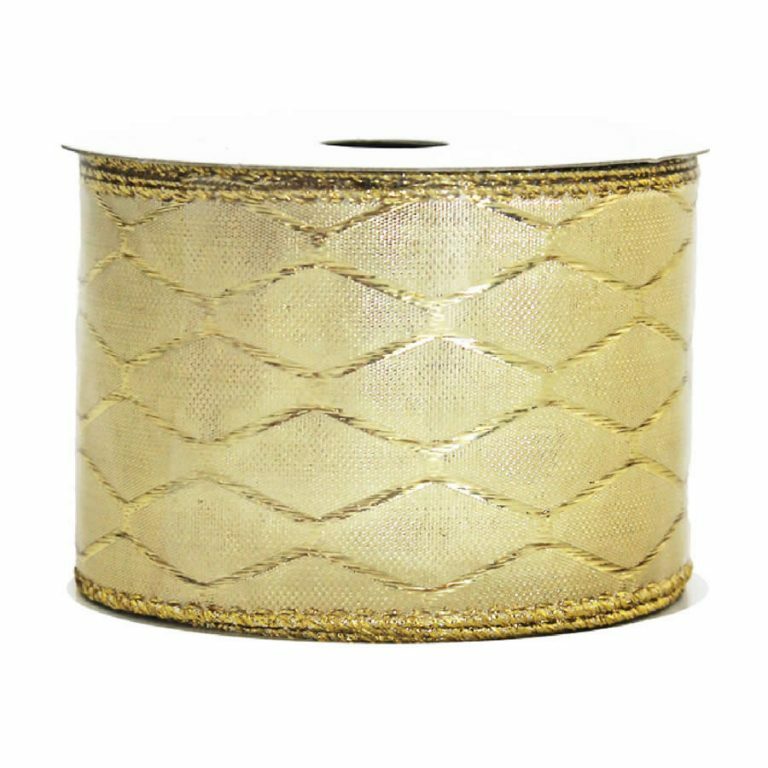 This ribbon is approximately 7cm wide.